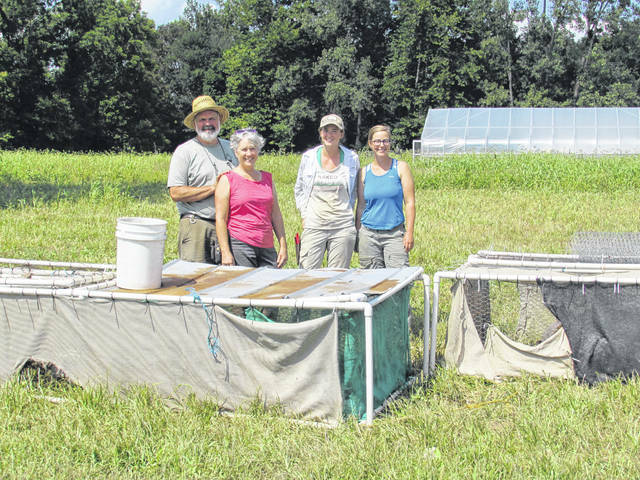 https://www.rurallifetoday.com/wp-content/uploads/sites/56/2018/09/web1_AshmoresApprenticesChickens.jpgLeft to right, Guy Ashmore, Sandy Ashmore, Laura Kington, Rachel Metzler, with the eight chicken tractors. In August the Ashmores brought 150 chickens to the family farm, where they will be raised as pasture poultry and butchered in October. 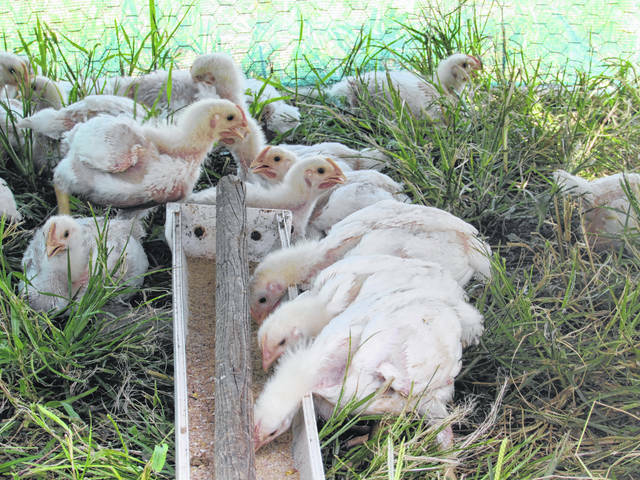 https://www.rurallifetoday.com/wp-content/uploads/sites/56/2018/09/web1_ChickensUpClose.jpgThe chickens at That Guy’s Family Farm live in chicken tractors, which are basically movable chicken coops that allows chickens to move freely across the land while being protected from predators. The chickens are a mixture of hens and roosters. 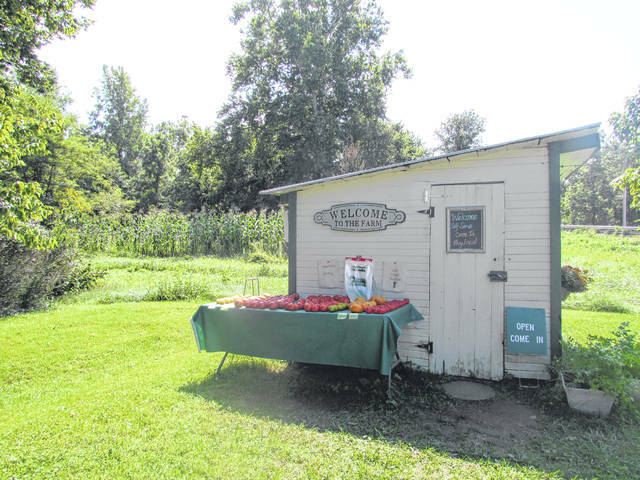 https://www.rurallifetoday.com/wp-content/uploads/sites/56/2018/09/web1_Store.jpgThat Guy’s Farm and Flower Store, displaying freshly-picked tomatoes from That Guy’s Family Farm.